The Harrogate International Festivals are once again bringing a whole range of entertainment to Harrogate this Summer with a diverse and exciting range of events. Highlights of the 2013 Harrogate International Festivals portfolio have just been announced. Headline acts for this year feature Tim Rice, Lesley Garrett and Michael Palin during the month-long programme in July. 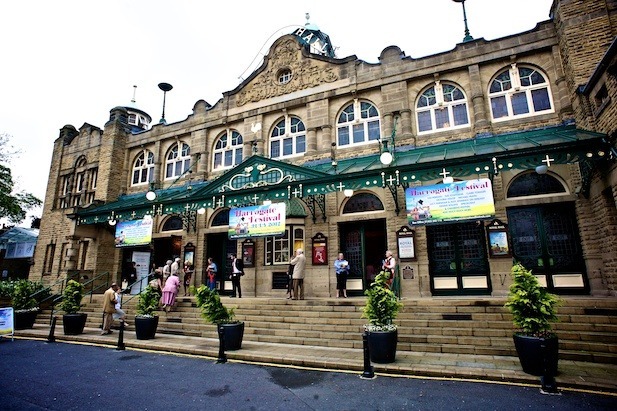 Strands include the traditional Harrogate Festival now in its 48th year, with its signature programme of classical music, jazz, world-class orchestras and contemporary music. 2013 also celebrates a ‘Decade of Crime’ with the Theakstons Old Peculier Crime Writing Festival, the biggest event of its kind in Europe. The summer sees the return of the bespoke Children’s Festival and the dedicated literature strand, the Raworths Literature and Lecture Series. 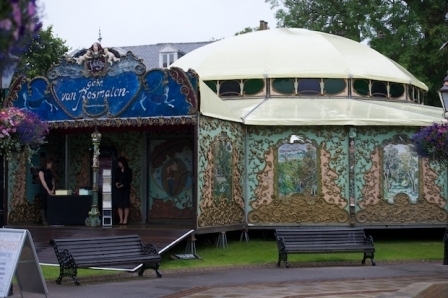 Festival staples, such as free outdoor cinema with Movies on Montpellier Hill, the Festival Fringe and the unique Spiegeltent, which pitches up in Crescent Gardens, also make a welcome return. Last year was a landmark year, celebrating Olympic heroes and a Royal Jubilee. This year, we’re rising to the challenge of being even bigger with a really diverse offer. We want people to say, that’s ‘my festival’ because there really is something to appeal to everyone, and all ages. This year’s themes include paying tribute to 100 years of Benjamin Britten with celebrated biographer Paul Kildea and the Carducci Quartet exploring the composer’s influences. The Festivals also celebrate heroines across the arts in line with the centenary of suffragette Emily Davison, featuring some of the most talented women at work in the arts today. Our 2013 programme is packed with the best international musicians, talented writers and great entertainment. We have incredible female talent across the whole spectrum of events from the crime writing femme fatales Kate Atkinson, Susan Hill, Val McDermid and Ruth Rendell, to queens of literature Joanne Harris, Deborah Moggach and Judy Finnigan. There are plenty of divine divas too with Lesley Garrett, Jacqui Dankworth and Clare Teal. And we’re celebrating everything from women explorers of Antarctica, debating the future of women’s fiction and exploring the legacy of Jane Austen. Lesley Garrett presents ‘Forsaken Women’. Too hot to Hendel! The nation’s favourite operatic diva brings to life lost love through the genius of Beethoven, Verdi, and Noel Coward, delivering the beautiful anguish, sensitivity and depth only a star of Garrett’s stature can deliver. ‘Naked Byrd’ includes works such as Barber’s Agnus Dei interwoven by the timeless magical chants of Hildegard of Bingen. Featuring 16 voices, the concert by candlelight is a magical experience that has become a must-see experience in Harrogate. British jazz singer Jacqui Dankworth is considered to be ‘one of the classiest acts in British jazz singing’ (The Guardian). This summer she makes a welcome return to Harrogate, promising an intimate night of jazz and blues. Britten and his influences – ‘War and humanity’ – features Haydn and Shostakovich as well as Britten’s extraordinary 2nd quartet written in 1945 after a tour to Germany with Menuhin, performing for the survivors of concentration camps. 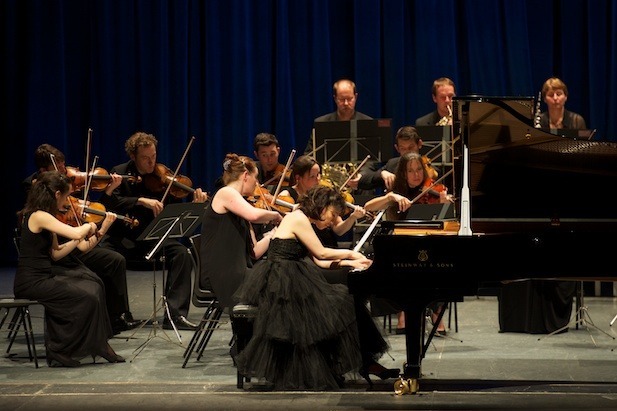 A truly triumphant occasion with the world renowned Royal Philharmonic playing the giants of classical music, including the rousing Rachmaninov Piano Concerto No. 2 and towering Tchaikovsky: Symphony No. 5. Sir Tim Rice joins Clare Teal and the BBC Radio Leeds Big Band for a night celebrating all things showbiz. One not to be missed. Early booking is highly recommended. Shakespeare’s most farcical of comedies meets the nation’s most slapstick of theatre troupes for some truly thespian frolics. Harrogate’s perennial favourite theatre company Oddsocks are back. Dubbed the Fantastic Four, Aquarelle has put guitar quartets on the musical map. Known for their spell-binding performances, reviews in Classic FM and BBC Music Magazine rave about their ‘infectious spirit’. Piano, paintings and film from Russia pianist Mikhail Rudy combine in this truly intriguing event that celebrates two very different sides of Russian culture in this acclaimed performance that has stunned audiences across Europe and more recently at the Guggenheim Museum in New York. The Festival Finale! Old Blue Eyes is back! Let’s be Frank, Sinatra knew how to swing. If anyone can capture the cool, smooth, Vegas, cocktail, suit-and-tie, Rat Pack style, it’s the John Wilson Orchestra with crooner Matt Ford.